Years after Caspers's unnamed narrator loses her first lover in a tragic accident, she finds herself wondering, "What did she want from me? What are the things that matter?" In vivid, richly detailed vignettes, the book tracks the cyclical nature of grief and remembrance across a life fractured by loss. 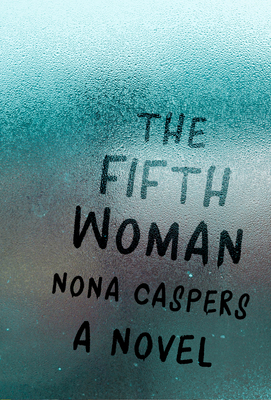 At times dryly comical, at other times radiantly surreal, The Fifth Woman is a testament to the resurrecting power of memory and enduring love. Nona Caspers is the author of Little Book of Days (Spuyten Duyvil, 2009) and Heavier Than Air (University of Massachusetts Press, 2008), which was honored with the AWP's Grace Paley Prize in Short Fiction and listed as a New York Times Book Review Editors' Choice. Her work has been supported by a National Endowment for the Arts Fellowship, a San Francisco Arts Commission grant, a LAMBDA Literary Award nomination, and the Joseph Henry Jackson Literary Award, among other awards. Stories have appeared in numerous literary reviews, including Kenyon Review, Glimmer Train, Cimmaron Review, Black Warrior, and The Sun. She is a professor of creative writing at San Francisco State University and lives in San Francisco.